The Asiatic cheetah is on the verge of global extinction. Iran is the only country in the world that still has any Asiatic cheetahs in the wild, and their numbers are dwindling fast. This is beyond critical. It is almost the point of no return. The last surviving male northern white rhino of the world has died. This leaves only two females of the species to preserve the line, most likely through assisted reproduction, though the chances of success are slim. There is a tragic finality to the extinction of a species from the planet, and we cannot escape our own culpability in giving shape to this tragedy. Most mammals including rhinos first appeared on earth at least 3 million years before the first Homininis – the common ancestors of humans and chimpanzees – did. To have driven to extinction species that roamed the earth for millions of years before us speaks clearly about the dangerous manner in which humans as a species are aggressively crowding out everything else out of existence. India is home to four out of six species of ‘big’ cats in the animal kingdom – lion, tiger, leopard and the snow leopard. A fifth – the Asiatic cheetah became extinct from India in 1952, with the last three remaining individuals having been shot by Ramanuj Pratap Singh, the Maharaja of Surguja state in present day Chhattisgarh. The Indian royalty were particularly fond of the cheetah as it could be trained to hunt gazelles and deer. Moreover, the incredible speed and the immense feline grace of a cheetah on the hunt fascinated the ancients no end. The cheetah is the fastest mammal on land. Starting from rest, it can hit a top speed of 120 kmph in just 3 seconds. By comparison, a Mercedes A45 AMG takes 4.5 seconds to hit the same speed. It is believed that Mughal emperor Akbar took with him an army of 1,000 cheetahs each time he went hunting. Unlike the lion and the tiger, the cheetah throughout history has been more prized alive than dead. A Large number of cheetahs were captured from the wild and kept in the hunting grounds of Indian maharajas. The problem, however, is that cheetahs never breed in captivity. Thus each cheetah captured and kept in a maharajah’s palace, however pampered, died without reproducing. The fad particularly picked up after the British conquest of India as native rulers sought to overdo each other in their pompous display of opulence and vanity to impress their colonial masters. The number of cheetahs fell alarmingly in the 18th and the 19th century, finally dropping out of existence altogether in the 20th. The Asiatic cheetah is the only animal in recorded history to become extinct from India due to unnatural causes. Today, the Asiatic cheetah is on the verge of global extinction. Iran is the only country in the world that still has any Asiatic cheetahs in the wild, and according to latest reports, their numbers are dwindling fast, with only 50 individuals remaining. Such a tiny population can easily be wiped out due to natural causes within a generation. India has for long been in talks with Iran for reintroduction of the cheetah. However, Iran has insisted that India exchange an Asiatic lion in return, of which India is the last natural refuge. The cheetah is a cultural mascot in Iran, just like the Lion in India. Being the last natural refuge of an exotic and critically endangered species of wild animal is lucrative in its own right, not the least because it becomes a hot selling point with tourists and also brings in much needed conservation funds from international agencies. Thus neither India nor Iran feels willing to give up their status as the exclusive home of the lion and the cheetah respectively. Since the deadlock with Iran could not be broken, India looked towards Africa where the cheetah is still relatively numerous. In 2009, there was much cheer among conservationists and wildlife enthusiasts as proposals were announced to bring the African cheetah for the reintroduction programme in India. A number of sites were narrowed down after detailed studies as presenting the most potential for supporting cheetah populations. These included Palpur-Kuno in Madhya Pradesh, Kaimur wildlife sanctuary in Uttar Pradesh as well as the Gajner wildlife sanctuary in Bikaner which used to be the hunting grounds of the erstwhile Bikaner royals and once the home of a significant population of cheetahs. However, these carefully laid out plans had to be dropped after scientists and conservationists pointed out that the African and Asiatic cheetah were two different sub-species that had separated from each other some 40,000 years ago leading to significant genetic differences. If there is one thing that modern ecological history has taught us, it is the risks associated with reckless introduction of alien species to habitats where they have not historically existed. For instance, the camel, was introduced to Australia from India and Arabia by the British during the 19th century. It was transported via ships to be used to explore the hot and dry Australian interiors which had hitherto remained inaccessible to the white man. The camels adapted unexpectedly well to the Australian outbacks and within a few years, their population went up exponentially, causing severe environmental damage due to overgrazing and overconsumption. Today there are estimated to be close to a million camels roaming wild in Australia – a land where none existed till about a hundred years ago. In monetary terms, it is estimated that the ‘alien’ camels cause $13 million worth of environmental and infrastructural damage each year, with several million dollars more spent each year in desperate attempts to reign in the rapidly increasing camel population. In India, the zoological survey has listed at least 157 alien invasive species of fauna that pose a threat to the biodiversity of India. The list of invasive flora is even longer with some cases such as those of the Seemai Karuvelam tree posing critical ecological problems. In the face of such concerns, the Supreme Court of India has ordered all plans for introducing the African cheetah to be put on hold until all environmental concerns can be addressed. Another option, though a much less preferred one, is cloning using somatic cell transfer technique. The main drawback with this technique is that success rates in reproductive cloning are only around 5 per cent. However, positive results from an Australian programme to clone an extinct species of frog, known as the Gastric Brooding Frog, have ignited the imaginations of geneticists around the world. The Australians have succeeded in bringing back to life a rare species of frog that had gone extinct almost 30 years ago, using somatic cell transfer techniques. Though still a long shot, the Australian example throws up encouraging implications for the revival of other extinct animals around the world. Reintroduction of the cheetah will not only impact tourism in the areas where it is reintroduced, but will also lead to preservation of India’s dwindling grasslands ecosystems. The cheetah mostly prefers open grasslands that allow it to unleash its full and splendid gift of speed. It is a well known fact that bringing back a top predator restores historic evolutionary balance, which leads to preservation of the entire ecosystem. For instance, India’s successful tiger preservation project produced an incremental top-down effect that ultimately helped in the rejuvenation of the entire forest ecosystem. In saving the cheetah, one would not only be saving its large prey base but also several other grassland species that are on the verge of extinction including the caracal, the Indian wolf, the great Indian bustard etc. This in turn will be a shot in the arm for the preservation of India’s fast disappearing grasslands. Additionally, among large carnivores, the cheetah presents the lowest level of conflict with human interests, as they are not a threat to human life and are most unlikely to prey upon large livestock. By comparison, the most commonly found large cat in India – the leopard – is commonly known to feed on livestock and displays a high incidence of conflict with humans. Right now, the biggest hurdle for reintroduction of this majestic animal to its native land is political. The Indian government has been unable to persuade its own states to facilitate exchange of isolated endangered species, leave alone executing such an exchange with another nation. 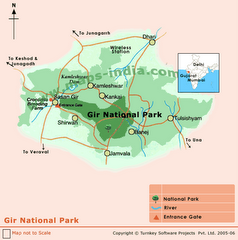 For instance, Gujarat has for long resisted any moves by the Centre to relocate the Asiatic lion from Gir to other chosen sites. Conservationists have repeatedly pointed out that an isolated population of a few hundred individuals like the one that exists in Gir is a recipe for disaster as a single epidemic or natural calamity like a forest fire could wipe out the entire population in one stroke. 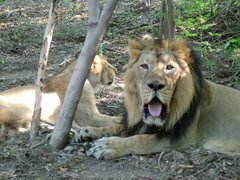 Repeated appeals have been made to the state to allow the introduction of the lion in Palpur-Kuno in Madhya Pradesh so that the population gets diversified. However, Gujarat has dragged its feet on the matter since this would mean significant loss of tourist revenue. India’s failed attempts at negotiating a reintroduction of the Asiatic cheetah have been hit with similar political hurdles. In the end, the only loser in this battle is our natural heritage. Kamalpreet works as a policy analyst in the defence sector. 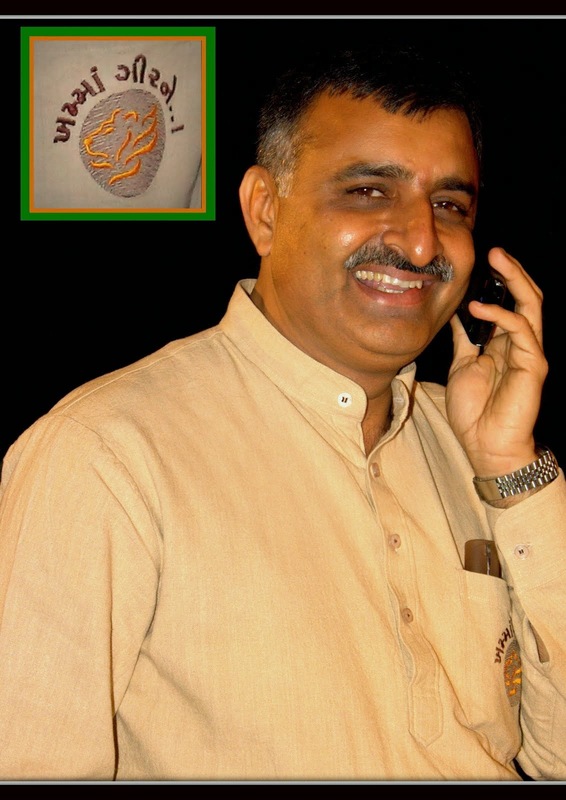 He is also a researcher affiliated with the University of Delhi. His areas of interest include history, politics, and strategic affairs. He tweets at @KPSinghtweets.